To Quickly Receive A Stamped Concrete Quote in Sacramento, CA, Give Monsters Concrete A Call Today! Stained concrete Sacramento from Monsters Concrete Sacramento is the best available. When it comes to flooring of your home or commercial buildings, you have different options to choose one from. Concrete flooring has many factors that attract homeowners to choose it when compared to other flooring styles, among which cost-effectiveness is a major attraction. Concrete flooring can be stained or stamped, as per the choice of the house owner after taking into consideration the locality, landscape and architectural design of the building. A concrete expert will certainly make your job easier after considering the mentioned factors. Many people opt for stained concrete floors these days, which is best suited to give an elegant look at home as well as office buildings. If you are confused about selecting stained concrete floors, this article is definitely for you. Here goes what you need to know about stained concrete floors and how we can help you in the improvement and beautification of your sweet home or commercial buildings. Make sure when you do concrete flooring hire the service of the best in town as it is a job that demands expertise and experience, so that the concrete floor will add magnificence to the space. When you think of Sacramento stain concrete, we, Monsters Concrete Sacramento, are at a call away to help you. Read on to know why hiring us would be a great choice, and the reasons why we make the choice for hundreds of Sacramento dwellers each year. 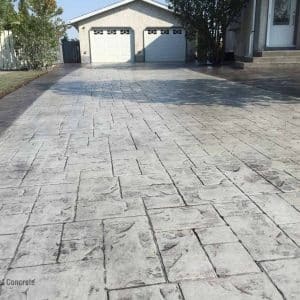 Monsters Concrete Sacramento is your trusted company for all types of concrete services including concrete repair, concrete installation, concrete repair, concrete replacement, to name a few of our services, and we are one among the most reliable names, when it comes to stained concrete Sacramento. We have years of experience in this vertical and a massive client base that are happy and satisfied with the services we offer them. 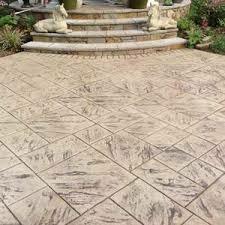 Stamped concrete, definitely, enhances the elegance of your property. Mainly concrete floors include stained concrete floors and stamped concrete floors. What exactly is stained concrete floors? Here goes the explanation. It is a specific type of concrete floor which has acids and coatings on the top layer, which increases the stunning effect of the work. The acids and coatings are particularly designed to apply on the concrete floors. It can bring in a change in shade of the floor. If you are thinking about how to improve the aesthetic look of your old floor, then stain concrete would be a perfect option. The process of stain concrete can be applied on old floors to enhance the beauty and give a stunning appeal to the space. Also, you can change the color of the floor by giving a stain concrete process. However, stain concretes look at its best in newly made spaces. Certainly, stained concrete floors will be ideal for your patios, garages, etc. even it goes well on floors of family rooms or kitchen floors. When you think of installing concrete stamped floors Sacramento, there are a few pros and cons that you should know, to make your choice wiser. 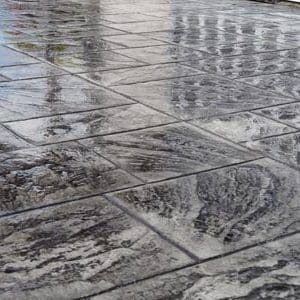 The best part of choosing stamped concrete floors is the possibility of making numerous designs and textures that would make any designers or architects satisfied about the beauty. Since stained concrete uses acids, you can get the desired shade which goes well with the landscape and architecture of the building. The durability of the stamped floor is yet another factor which makes it a preferred choice for homeowners these days. It is particularly designed to last for long. Furthermore, you can apply water-proof sealants on the stamped concrete floor, so that the durability is further extended. It is cost effective and the maintenance cost is lower when compared to other type of floors. The only concern about going for stained floors is that it needs experts to perform the job as it mainly deals with acids. It requires skill and expertise from the part of the concrete contractor to get the desired benefit. On the other hand, if the staining job is done without expert supervision, the job may even look ugly. Why should you hire us for stamped concrete in Sacramento? When you hire us, you can be assured of finer service from the best of Sacramento stained concrete service providers. Our team is dedicated in giving the best for our clients and give utmost preference to customer satisfaction. The team here have proven their expertise in concrete related works, by giving equal importance to aesthetics, structural quality, quality of materials used, etc. We are dedicated in making our clients happy by giving them superior quality services and value each penny they spent for making the job done. That explains the reason behind the inclusion of hundreds of clients to our list of clientele year after year. We are armed with all modern machineries to make the job easier and the expertise of the workers reflects in every work we do, be it stamped concrete or stained concrete Sacramento. The team here, at Monsters Concrete Sacramento, have experts with more than fifty years of hands-on experience in the concrete construction sector, which is one of the highlights of the company. We are the only full-fledged solution-provider for any concrete requirements, from installation to replacements. We, at Monsters Concrete Sacramento, have proven our services are the best that is available in stain concrete Sacramento, with the professional expertise of our unparalleled team. We assure you timely completion at affordable rates and high quality service in stain concrete Sacramento CA. Call us anytime to know our rates and services for all your needs related to concrete stain Sacramento area. We would be happy to give you advice or share information related to concrete stain Sacramento. Our service will be the best in standards of materials used and level of expertise of workers in stain concrete Sacramento CA. Get in touch with us to know our services, be it commercial or residential properties. All you need to do is write to us at inquire@monstersconcrete.com, or give us a call at 916-237-0180, to get the best of concrete stain Sacramento CA.